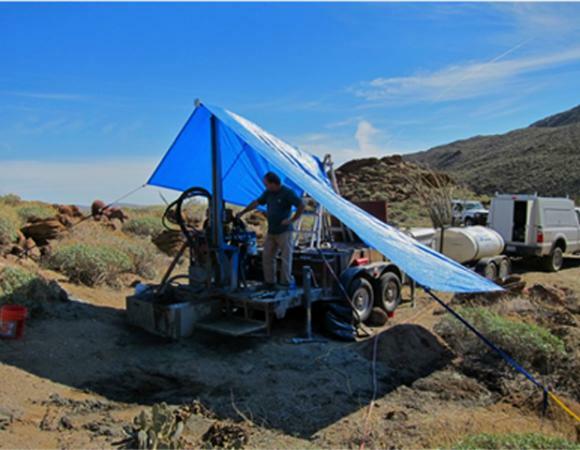 The Plate Boundary Observatory (PBO) has been working hard to install instrumentation in deep boreholes in the San Jacinto Fault area of southern California in the past several months. The area of focus was in the region of the town of Anza, located roughly halfway between the Salton Sea and the city of Riverside, California. 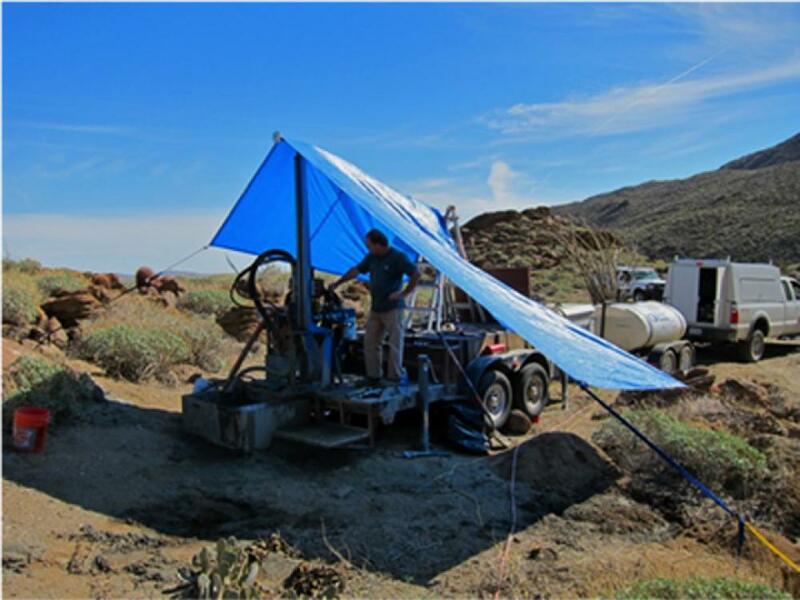 The first task was installing a borehole strainmeter at roughly 500 feet depth as apart of an NSF-funded Continental Dynamics project to install a series of seismometers along the San Jacinto fault zone. The project goal is to observe brittle deformation at depth using seismic, geodetic and strain instrumentation to further develop quantitative models of earthquake source mechanics and rupture propagation. 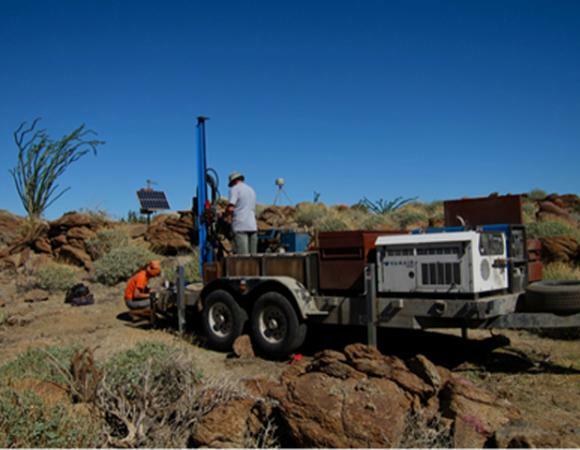 In April of 2010, a Mw 7.2 earthquake in Baja California, Mexico, increased the importance of this site. Then on the 7th of July a 5.4 M earthquake occurred 14 miles south east of Anza, as mobilization of BSM and Tacoma Pump and Drill was underway. In July 2010, Tacoma Pump and Drill (TP&D) was contracted by UNAVCO to drill a 6 inch diameter, 500 foot borehole in Anza, California, to install a strainmeter and borehole instruments. In the intense heat of the Anza summer with temperatures well over a hundred dregrees, the crew worked tirelessly. 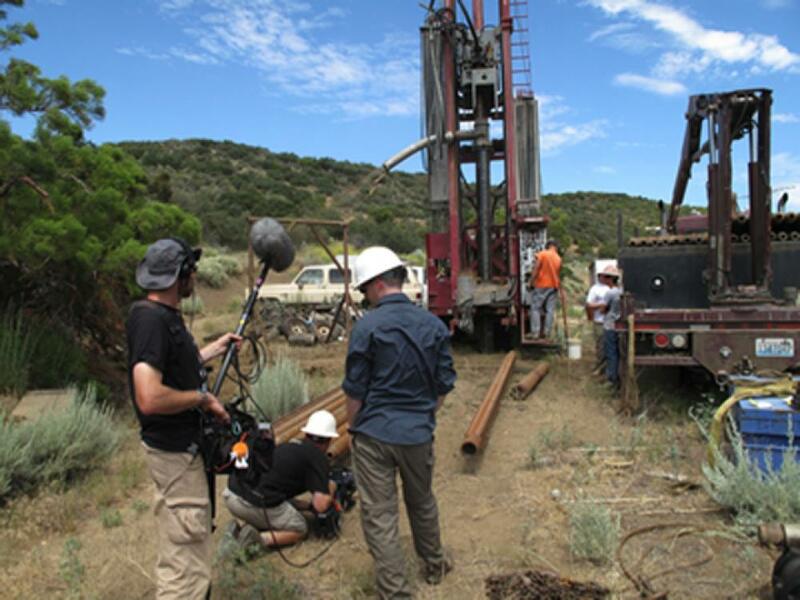 Drilling and stabilizing several major fracture zones in the broken granite near the San Jacinto fault zone, they managed to produce a 507-foot borehole. 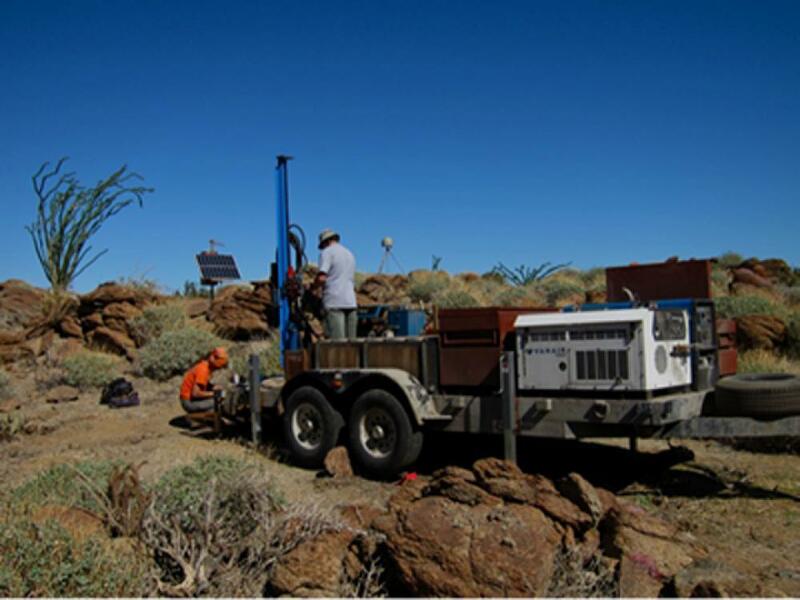 UNAVCO then ran several geophysical logging tools down the borehole to characterize the rock and determine the best borehole strainmeter installation zone. The selection of the installation zones are based on information generated through previous borehole work during the PBO MREFC phase mapping fracture zones and groundwater inputs, zones of stable, competent host rock. On July 22, the UNAVCO crew successfully lowered a Gladwin Tensor Strainmeter into fresh expansive grout. Later that week a Malin geophone was cemented in the borehole column above the strainmeter. The station is powered by a solar array and communicates data via radio shot to the HPWren high-speed radio network. 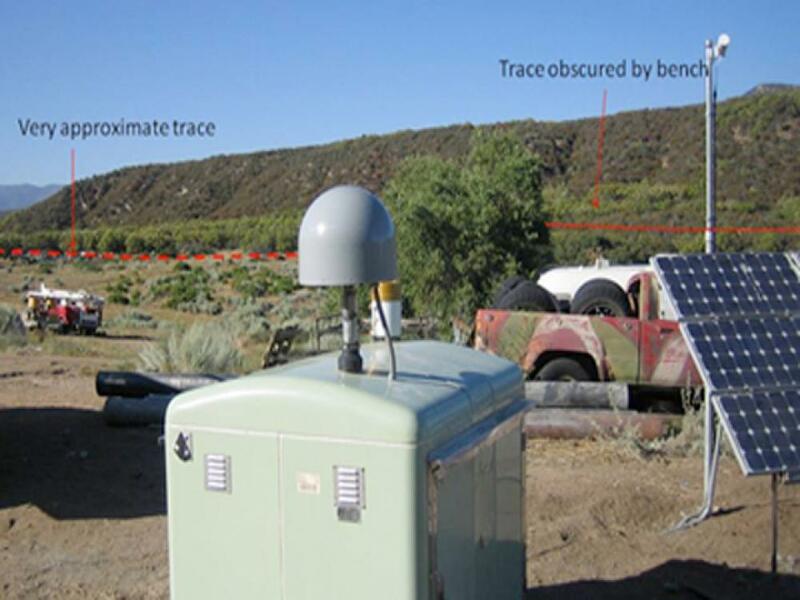 In addition, a Trimble GPS antenna was mounted to the surface casing as well as to a surface accelerometer borehole drilled nearby, making the site a complete monitoring site for most geodetic frequencies. The new site, B946, also known as Sage Brush Flats, currently contains a strainmeter, short-period seismometer, pore pressure, and a borehole-mounted geodetic quality GPS receiver and antenna. B946 was drilled to a final depth of 500 feet. The strainmeter was installed at 485.6 feet (148 meters), and the seismometer is at the depth of 469 feet. Double-screened pvc for the pore pressure is located at a depth of 415 - 455 feet. All uphole equipment has been installed and the site has been online since the 26th of July. All data from the B946 flows through the EarthScope/PBO data flow system and are freely and openly available without delay. In addition, a second hole was drilled to 200 ft directly on the fault for the installation of an accelerometer. Following the April, 2010, Mw 7.2 earthquake in Baja California, Mexico, it was hypothesized that the strain field had moved into the San Jacinto fault region. Background seismicity had increased in the area, suggesting that the fault was near rupture. A RAPID proposal was then obtained to drill eleven additional shallow boreholes for accelerometers. 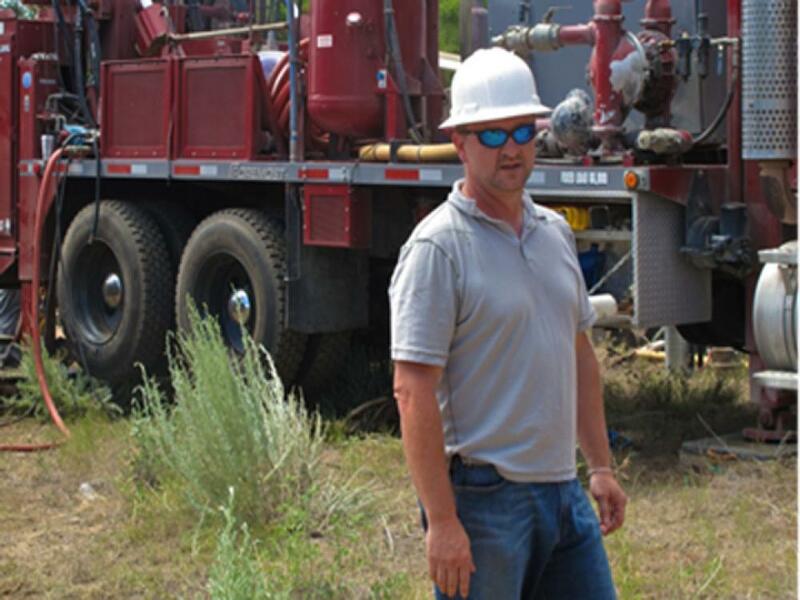 Using mud rotary drilling techniques, UNAVCO drilled and cased two thirty foot deep, six inch diameter boreholes using a modified trailer-mounted Little Beaver Drill rig in a variety of stratigraphies, from hard, competent granite to sandy, unconsolidated alluvium. There is currently funding for 5 more boreholes to be drilled through early 2011 that should greatly enhance the network of ground acceleration instruments in the San Jacinto region.